Saturday 9th March saw the graduation run for our first Brighton & Hove FrontRunners’ Beginner’s Group. Over the last 10 weeks our group has ran on Wednesday evenings, facing dark nights, rain, and on one occasion sleet, to build up the confidence to go from couch to a 5km parkrun. Then on Saturday our beginners lined up with 300 other runners, joggers and walkers to complete the 5km loop on Hove Prom. The weather was a little unkind at the beginning, with a sea mist and strong headwind on the Westerly direction making life just that little bit more difficult but by the end the sun had come out to shine, even if it was still feeling slightly Artic! We witnessed some amazing running, with our beginners looking strong all the way round. Congratulations to everyone that took part – we look forward to you joining us on our regular club runs! We also have to thank all the volunteers and supporters who gave up their time to support the course and introduce new people to running. By the end of the run the sun had come out! Our graduation run also saw the first opportunity for FrontRunners to be out sporting our new Brighton & Hove FrontRunners running vests. Our purple & white tops definitely made sure we stood out from the crowd. If you are interested in signing up for our Beginner’s Course – please see the beginners page to join our waiting list. We are currently making plans for our next course (likely to be spring 2019) and will let you know once details are finalised! We are launching a second running & training day. 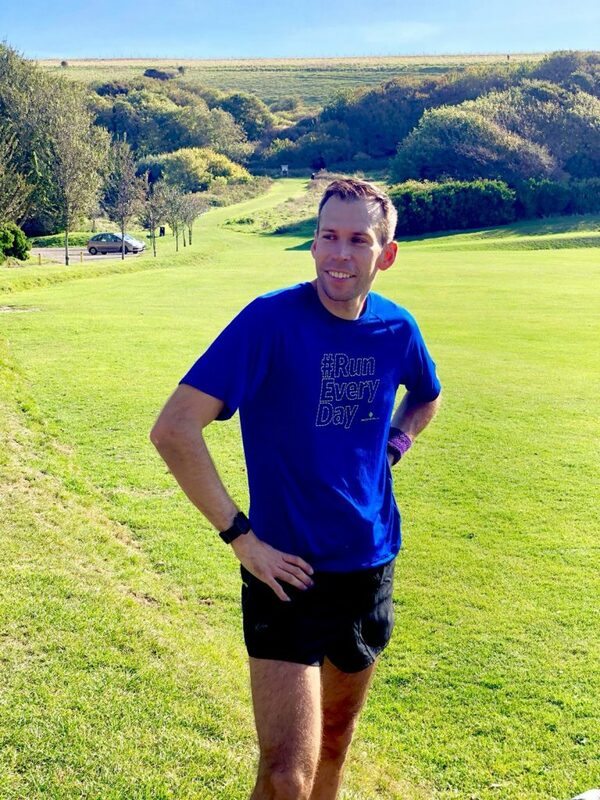 Once a month on a Monday Run Leader Paul will deliver different sessions at different parks in the city to give FrontRunners ideas for places to run and techniques to practice in their own time. The first session will be interval based and will take place down on Madeira Drive followed by refreshments in St. James Street. Each month will be a different Monday and a different location, so keep an eye on our Facebook Group or website for details. Meeting place: Steve Ovett Statue, Madeira Drive. 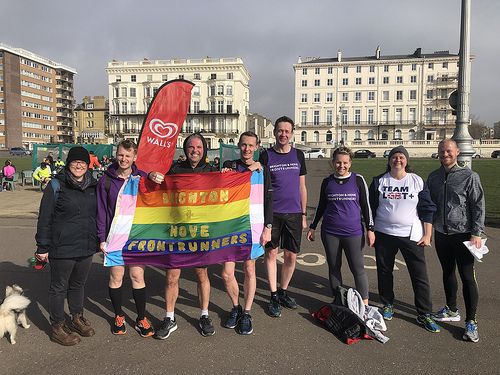 As Brighton & Hove FrontRunners grows and evolves, it is important that we have an organisation that reflects the original club aims from the founding members. We are at a point where we would like to formally incorporate the club, agree a constitution and elect committee members to help us grow the club, help us fundraise to support activities, and support current and new members to getting the most out of being a FrontRunner. Whether you’d like to run for a position or just find out more come to our AGM on Wednesday 13th March at 8pm (after the club run) at the Sussex pub, BN3 2RH. Draft copies of the proposed constitution is available below. Nominations for positions will be taken on the night. Outline of responsibilities and roles are also below. If you are unable to attend you can also nominate yourself by emailing us in advance of the AGM. We are always looking for volunteers – so even if you don’t want a formal role we would love to hear from you and help out on an ad-hoc basis. Once a month, we meet for a Saturday morning parkrun and coffee. Having now completed all five parkruns in Brighton & Hove, we are now going further afield. Our February stop is a week yearly than normal due to the Brighton Half Marathon being an BHFR road race. 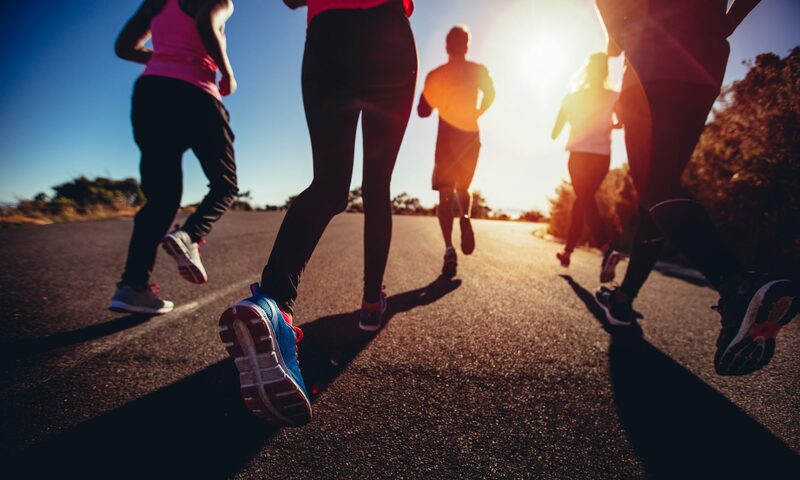 So on Saturday 16th February we will be taking on Worthing parkrun – a straight forward out and back along the promenade with some personal best potential for those seeking to improve their 5km times. We will be organising transport via our Facebook page and WhatsApp group. Congratulations to our very own Paul Howard, who completed his Leader in Running Fitness (LiRF) qualification with England Athletics this week. We now have two England Athletics qualified Run Leaders in the club to support training and running sessions on Wednesday nights. You can see Paul put his LiRF training in action as he leads this week’s interval training. 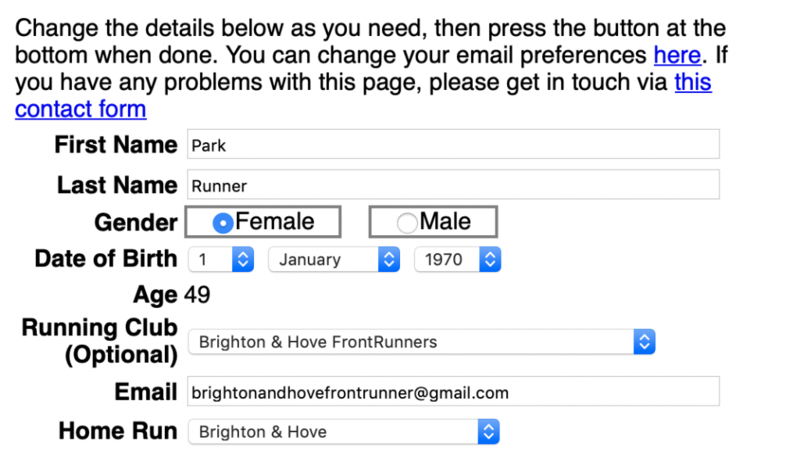 The last Saturday of every month, Brighton & Hove FrontRunners meet at a local Parkrun for some Parkrun Tourism. Our Parkrun tour takes us to East Brighton Park next on Saturday 26th January. East Brighton is a new Parkrun, meaning we now have 5 Parkrun within the city. The run takes place completely on grass and we have already had a FrontRunner take podium place there in the last few weeks. January Beginner’s Group Now Full! Our beginner’s programme starting in January is now full and we are operating a waiting list. You can join our waiting list here to be informed of when our next course opens.